This week, Russian Life takes us to the mountains on the shores of the Black Sea, at the foothills of the Caucasus, one of Russia’s most picturesque regions, which draws adventurers from all over the country. Krasnodar is a region of dense forests and steep cliffs. Alexey is our guide: this former restaurant chef travelled the world studying volcanoes. On his return, he became a mountain guide, turning his passion into a new career. “In our region, lots of people engage in mountain sports. Mountain biking is popular, as is boating, rock climbing, and hiking,” he tells us. 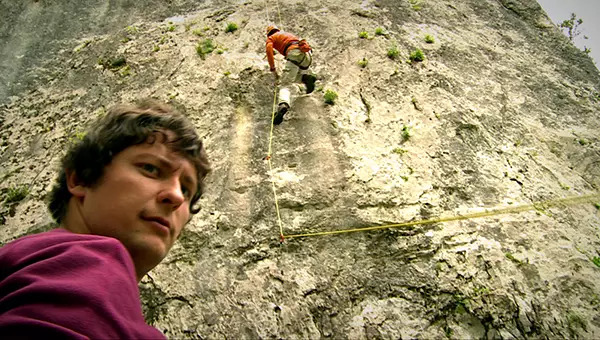 Alexey and his climbing partners tour the region, climbing any rocks they come across. 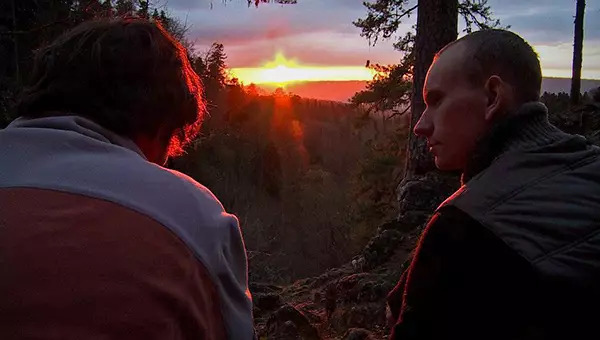 In the evening, after a good day’s climbing, they take a moment to enjoy the sunset before getting ready for the night. “I’ve travelled around the world, from Alaska to the South Pole and back through Australia, New Zealand and Japan. We climbed many volcanoes – but for me, the best places are here, at home, in Krasnodar Krai,” says Alexey. Another day brings another adventure. In the deep canyons at the foot of the cliffs flows the Belaya – one of Krasnodar’s main rivers. 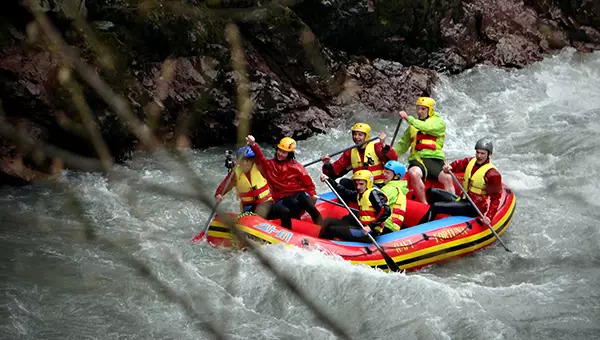 Its rough stream rises high after rainfall – creating ideal conditions for white water rafting. Trying our best not to panic, we set off. Some of the passengers are beginners, working hard to try and row in sync with more skilled athletes as our raft gains speed. We sweep through the magnificent scenery in this region, which is preparing to host the 2014 Olympic Games in the southern city of Sochi. Our guides shout out their commands over the deafening noise of the river. “This is quite an extreme sport, but anyone can try it out on this river. 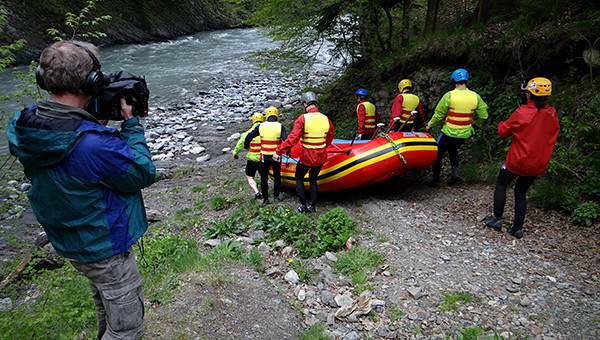 The conditions here are fantastic,” says Alexey Chikalov, the second guide onboard the raft. It’s a real adrenaline rush as we leap through the waves, avoid the rocks and paddle frenetically. Everyone is exhausted, soaking wet, and happy. “Amazing people, amazing nature, I can’t say that nothing compares but you’ve got to try it… It’s unforgettable, an experience not to be missed,” shouts Ellena out as the waves hit her face. In the next edition of Russian Life we discover another region in southern Russia famous for its fishing – the Volga Delta near Astrakhan. 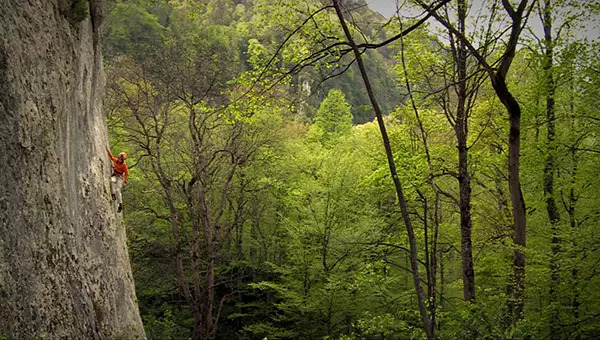 Krasnodar Krai is famous for its outdoors routes: hikers and bikers enjoy the diversity of its picturesque landscapes, with snow-covered mountains and wide valleys, canyons and caves, mineral springs and waterfalls. We came there to meet a team of local adventurers, all in their 20s, who knew the area and were willing to show us to some of their favourite locations. We weren’t disappointed. 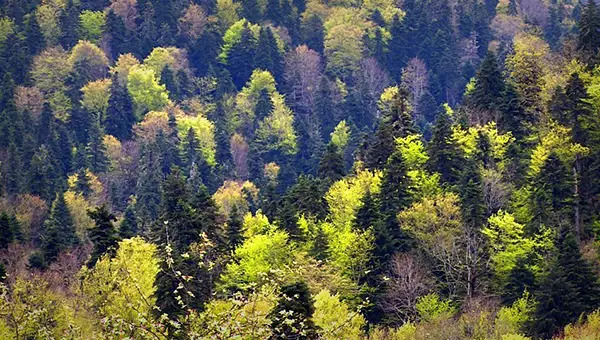 A two hour-long drive from Krasnodar, the region capital, brings you to the foothills of the mountains popular among climbers. As one would expect, that’s quite a widespread hobby amongst local youth, even though Alexey, our experienced guide in his home lands, told us about many tragic accidents that happened in the Caucasus mountains and elsewhere in the world with climbers he knew. Alexey is a good illustration for Russia’s rediscovered craving for exploration. Two years ago he participated in the “Fire ring of the Earth” scientific and sports expedition that run along the volcanic ring of land encompassing the globe – members of the team conquered many volcanoes on their feet and their bicycles. 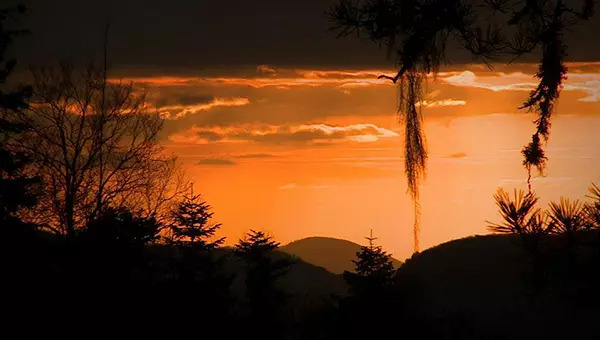 There are no big volcanoes in the Krasnodar Region, but Alexey says he still prefers it to foreign sites – not just because it’s the home, but also because of the rich diversity of landscapes concentrated in this part of Russia. It’s a paradise for a mountain biker, hiker, climber or rafter – Alexey is all of the above, and more. Locals hope that the upcoming Sochi Olympics will spread the knowledge about their region abroad, opening its magnificent scenery to the world.